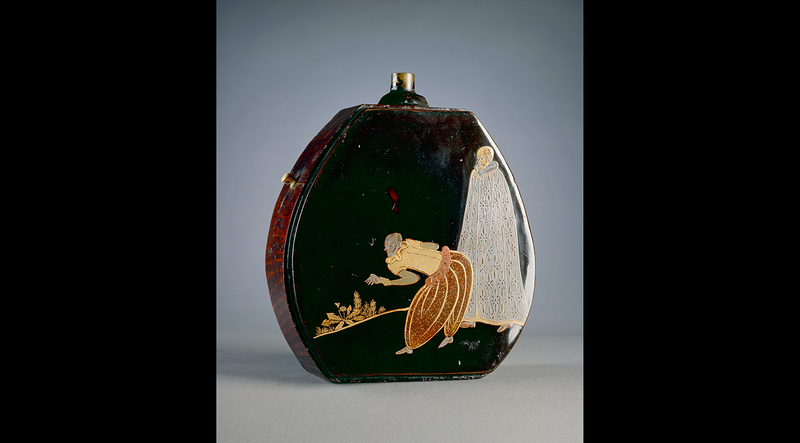 This lacquered wood flask (kayaku-ire) was produced in Japan. It is beautifully decorated but also served an important practical use as a container for gunpowder. Gunpowder flasks were an essential piece of equipment for anyone carrying a gun before the advent of cartridges in the nineteenth century. The flask gives an insight into a fascinating period of Japanese history – reflecting the history of contact between Europe and Japan. The Portuguese were the first Europeans to arrive in Japan, in the early 1540s. They were keen to acquire precious metals in Japan while the Japanese were fascinated by the Europeans’ gunpowder weapons: specifically, the matchlock heavy arquebus, also known as the musket. The personal habits, height, colouring and extraordinary clothes of the Portuguese astonished the Japanese. 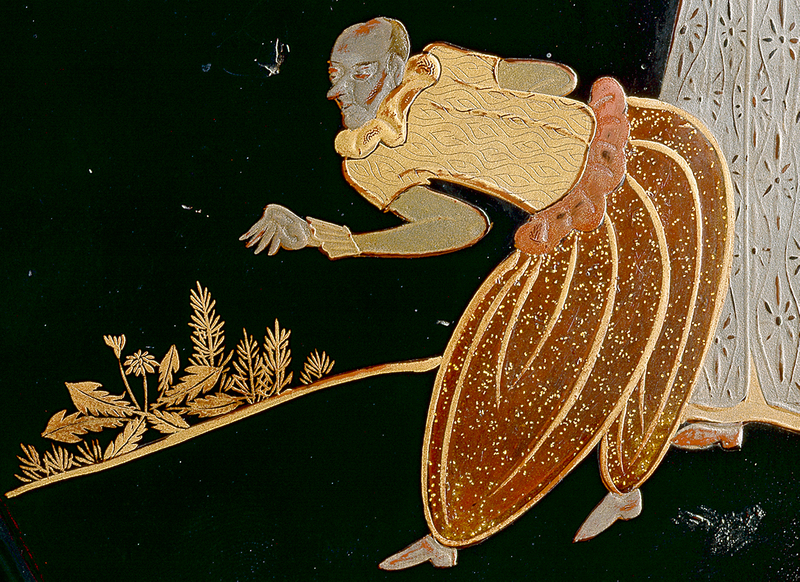 The men shown on the gunpowder flask wear exaggerated versions of the baggy trousers, frilled collars and long cloaks fashionable in Europe at the time. 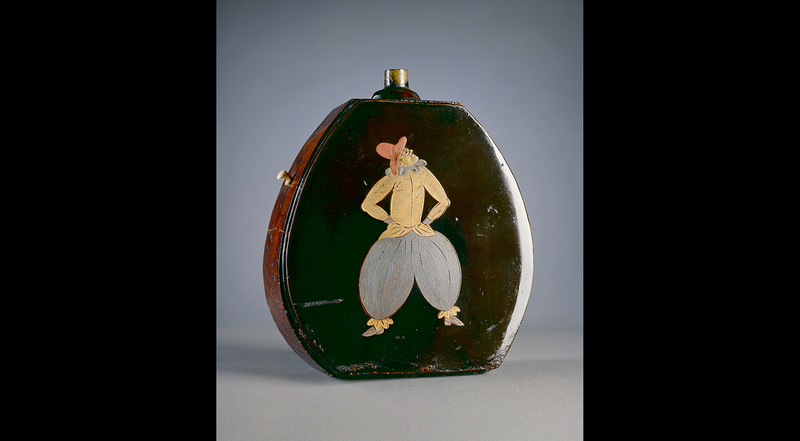 The flask is an example of an artistic style known as Nanban (literally ‘Southern Barbarian’), which developed during this period of initial European contact (1543‒1639), although it is possible the object was produced later than this date.